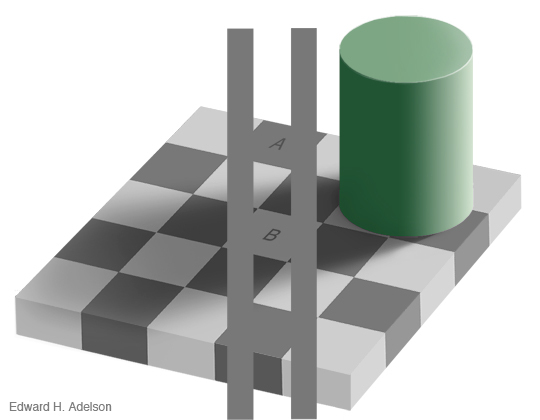 This illusion was discovered by MIT professor Edward Adelson. 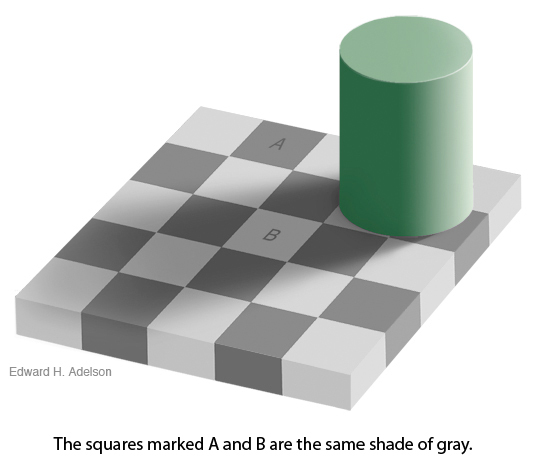 The dark square A outside the shadow is the same shade of gray as the light-colored square B in the middle of the shadow. Unbelievable but true! Here is the proof. Why does the illusion work?